April is here bringing with it content patches and expansion announcements for MMOs. For this installment of MMO Co-Opportunities, we’ll be discussing the new Elder Scrolls Online expansion, the release of Secret World Legends’ next story installment, and the start of Season 14.5 in Star Trek Online. It really seems like a great time to be an ESO fan. Every time I do these round-ups, I always seem to find something impressive and new for this MMO. This time, it’s the announcement of a full-blown expansion. 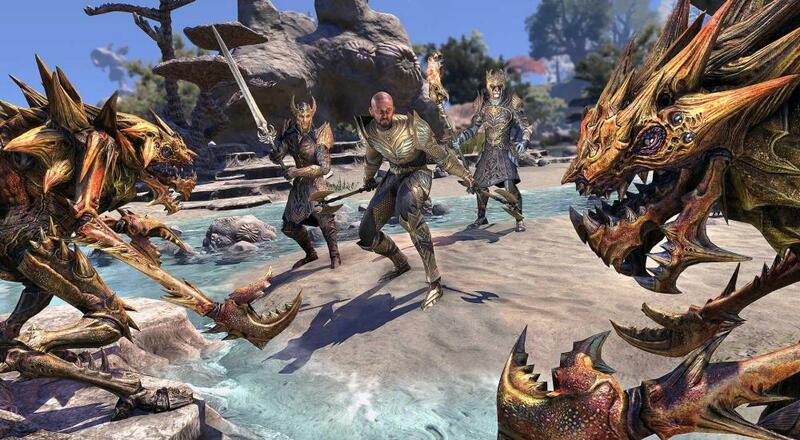 Elder Scrolls Online: Summerset will bring players to Summerset Isle where they will experience a new main story quest line. For the first time in the Elder Scrolls series, players will be able to join the Psijc Order, complete with its own time-focused Skill Line. There will be new PVE Challenges (such as the Abyssal Geysers), a new 12-player Trial called Cloudrest, and a new Jewelry Crafting Skill Line. Summerset will release May 21st on PC/Mac and June 5th on PS4 and Xbox One. There are several versions already available for pre-purchase, from the Standard Edition ($40) up to the Physical Collector’s Edition ($90) with a few digital versions in-between. For players who are on the fence about the expansion, or just want to see what’s in store for them before the expansion launch, a Prologue quest is available. Players can purchase the “Mage's Message Stone” item for free from the in-game Crown Store. When used from their inventory, they will receive an urgent message from Vanus and acquire the quest titled “Through a Veil Darkly." They can also find Vanus inside any of the Mages Guildhalls found within Tamriel's Alliance capitals. One this quest is complete they’ll receive the Wyrd Elemental Plume memento and be prepared for the coming adventures. Page created in 0.5464 seconds.